Nawaloka Hospital Negombo celebrated four years of making world class healthcare more accessible to the people of Negombo, recently. Thanking patrons for their continued support the management and staff of the Hospital had organised several events to mark the fourth anniversary. Over 100 well-wishers took part in the blood donation camp. An underprivileged patient was offered free surgery. 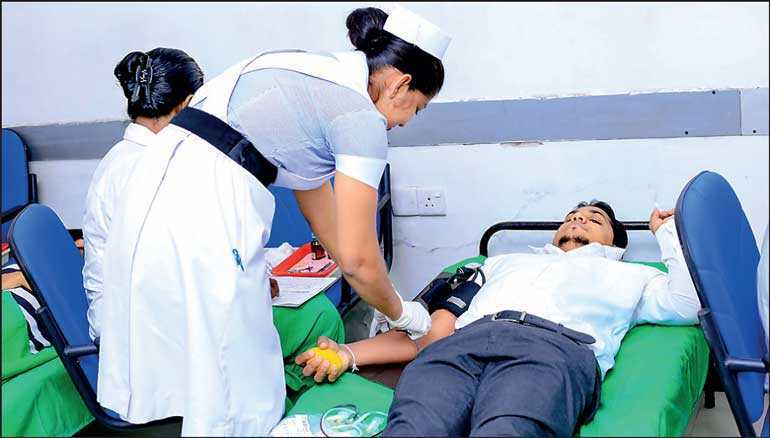 Ever since its launch in 2014, the 70-bed Nawaloka Hospital Negombo has had a significant impact on the community, eliminating the need for patients from Negombo to travel to Colombo for medical care. The Emergency Treatment Unit (ETU), the only one of its kind in the area, and fleet of ambulances are geared to attend to accidents and other medical emergencies, 24x7. Its state-of-the-art operating theatres and Intensive Care Unit (ICU) with dedicated medical, surgical and neonatal ICUs, are amongst the most technologically advanced in the region. The hospital also houses a Cosmetic Centre, Dental Unit, Haemodialysis Unit, Immunisation Clinic, Mother & Baby Care Centre, Oncology Clinic and Physiotherapy & Rehabilitation Unit run by teams of experienced specialists. With several leading consultants and specialists on board, Nawaloka Hospital Negombo also offers channelling services and in-patient treatment. Patients can avail a host of diagnostic services including ultra sound scanning, digital X-ray, CT scanning, mammography, doppler scanning, audiometry, echocardiography, ECG and exercise ECG, HD endoscopy, Holter monitoring, EEG (digital), EMG/nerve conduction and Radiofrequency Ablation (RFA), etc. As the country’s pioneer and premier private hospital network, Nawaloka Hospitals PLC continues to strive to make its services more accessible to all Sri Lankans through its regional centres. While its hospitals in Colombo and Negombo offer world class medical services, it Medicare centre in Gampaha brings some of the country’s leading doctors and other highly skilled medical professionals and cutting edge technology to Gampaha, while offering a host of other services, 24x7.